Welcome back to Swiss Cities in Depth, a series where I explore and share what Switzerland has to offer. In the last post, I wrote about Lugano, where Franklin is located. This time, I'll be talking about Bern, the capital of Switzerland! You may have seen it spelled "Berne," the French version of its name. Keep reading to find out about Bern's multilingualism, plus much more! The city of Bern was founded in the late 12th century. It joined the Swiss Confederacy in the mid-1300's, soon conquering nearby territories and increasing steadily in population due to immigration from surrounding areas. After its original wooden buildings were destroyed in a huge fire in 1405, Bern was rebuilt with sturdier materials in a style that remains characteristic of the city today. In 1848, Switzerland was united as a federal state and Bern was made the seat of the federal government, thereby becoming Switzerland's capital city. 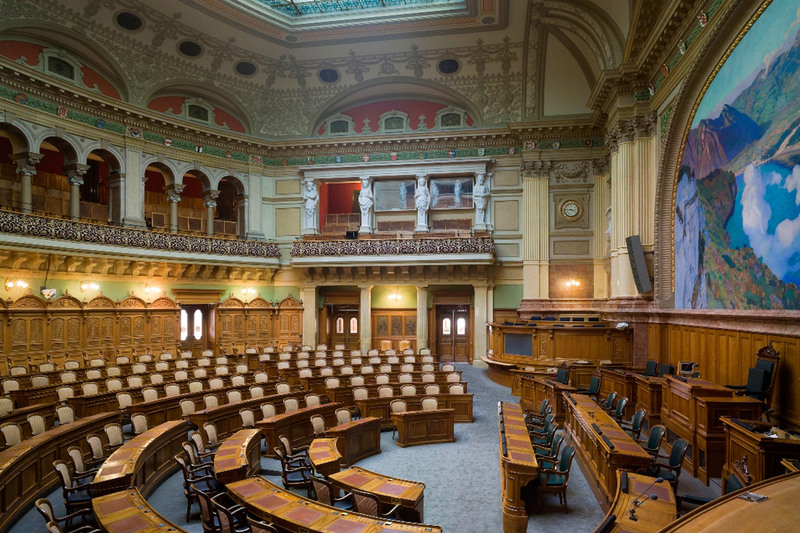 Bern is home to the Swiss Parliament, which consists of the House of Representatives and the Senate. The House of Representatives has 200 seats, assigned to each canton in terms of its population, whereas the Senate has a fixed number of members (2 per canton and 1 for each half canton, for a total of 46 seats). The main language spoken in Bern is German, followed by Italian and French. The Bernese also have their own unique dialect of Swiss German. Since the mid-15th century, there has been a tradition of keeping bears in Bern (according to legend, the city is named after them, and they are even featured on the Bernese coat of arms). Currently, there are three bears living in the Bear Park, a large enclosure that lies along the Aare. 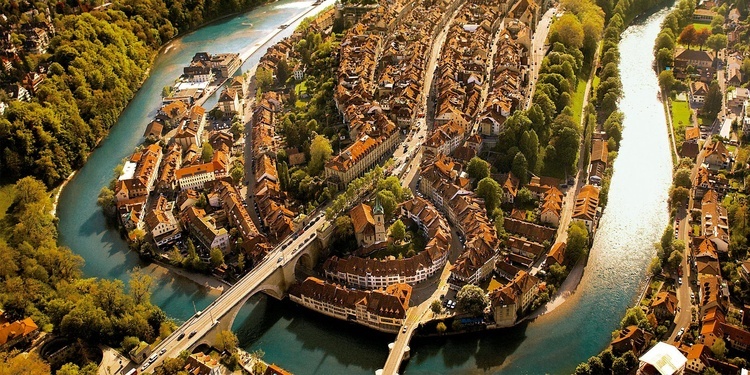 Bern's old town is so well-preserved that since 1983, it has been listed by UNESCO as a world heritage sight. 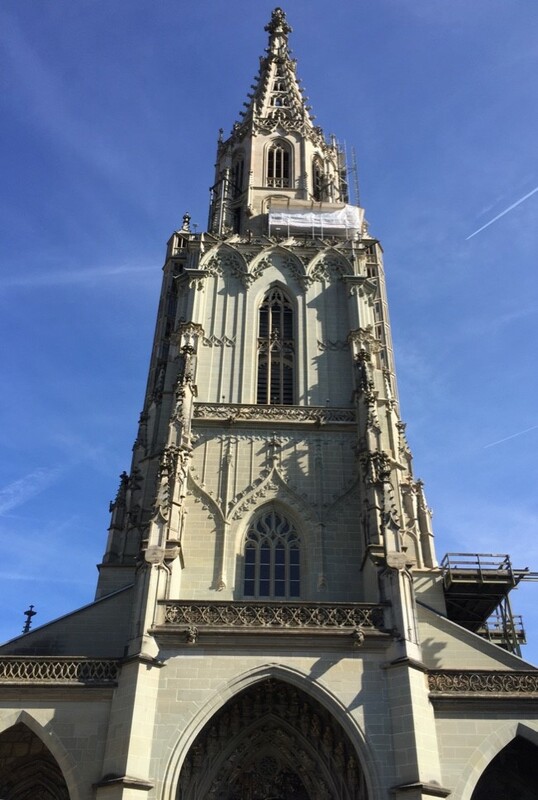 The old town is home to the tallest cathedral in Switzerland, a world-famous astronomical clock tower built in 1530 and numerous shopping opportunities. 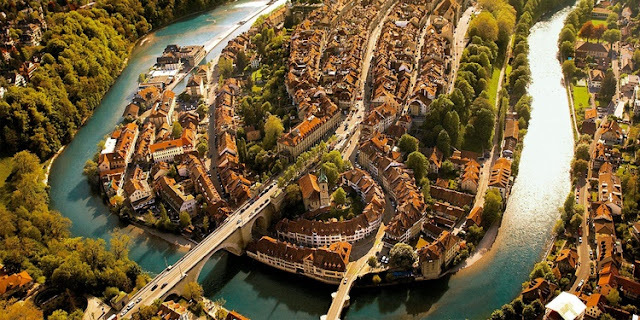 The old town is circled by the river Aare, which is not only beautiful but also a great place to cool off in summer. Interested in art? Check out the Zentrum Paul Klee, the largest worldwide collection of the artist's works, housed in an amazing building designed by Italian architect Renzo Piano. Or would you rather redefine your perspective on Einstein? Spend an afternoon at the Einstein House, the former residence-turned-museum all about the physicist who "revolutionized our understanding of space and time." There are many more attractions to see in Bern, plus a multitude of annual festivals, weekly markets and world-class cuisine. Click here to see aerial panoramas of the city. 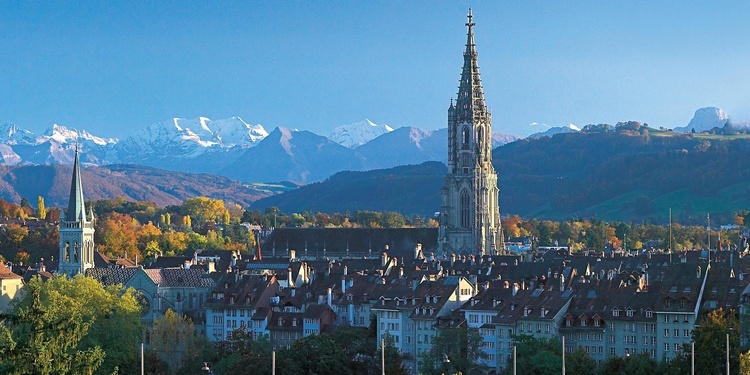 Bern isn't technically the "Hauptstadt" or capital of Switzerland - because there isn't one! 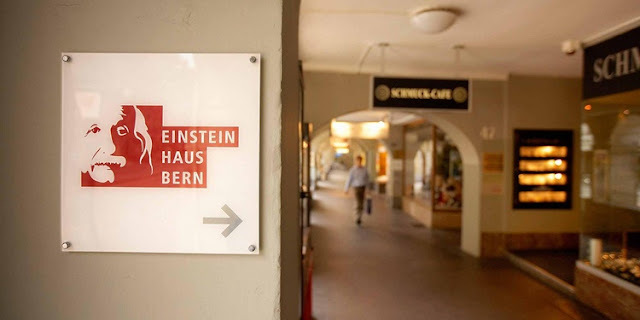 Rather, it is the de facto Swiss capital because it is houses the Swiss government/Federal Parliament. Bern's current resident family of bears are named Finn, Björk, and Ursina. Since 2009, they have been living in the new bear park along the river Aare. The Cathedral of Bern (Das Berner Münster) features the highest church tower in Switzerland! Bern is located within a canton of the same name. Canton Bern is the second largest canton by both geographic area and population. The canton is officially bilingual, with both German and French-speaking areas. Many embassies are located in Bern, including the embassies of the United States, Vietnam, India, Britain, Ghana, and others! Bern is home to over 100 fountains, many dating from the middle ages, earning it the moniker "The City of Fountains." 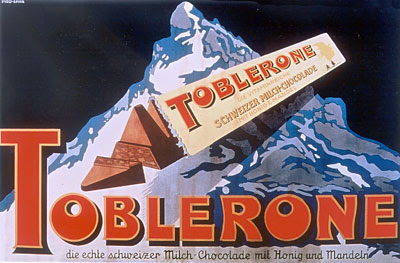 Toblerone, everyone's favorite triangular chocolate bar, was invented in Bern by Theodor Tobler in 1908! Toblerone celebrated its 100th anniversary in 2008. For the past five years, Bern has continuously been ranked within the top 14 cities worldwide for the best quality of life by the Mercer Quality of Living Survey, along with the other Swiss cities of Zürich and Geneva. The clock tower in Bern's old town is said to have inspired Albert Einstein in developing his theory of relativity when he was working in Bern as a patent clerk. 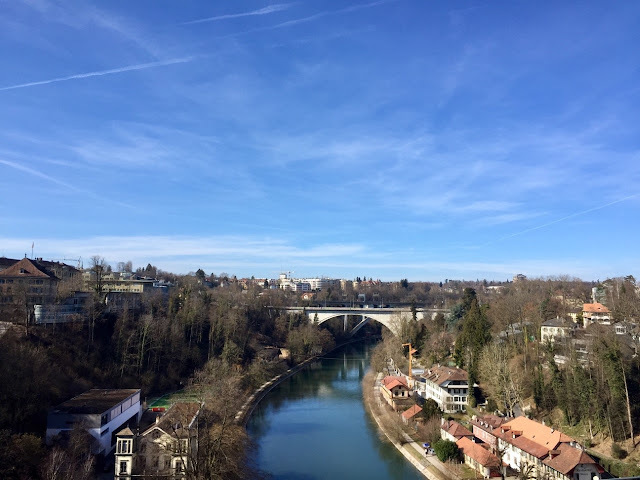 As you can see, Bern is an amazing city home to innumerable cultural activities, rich history and beautiful views - so I hope you decide to check it out sometime!